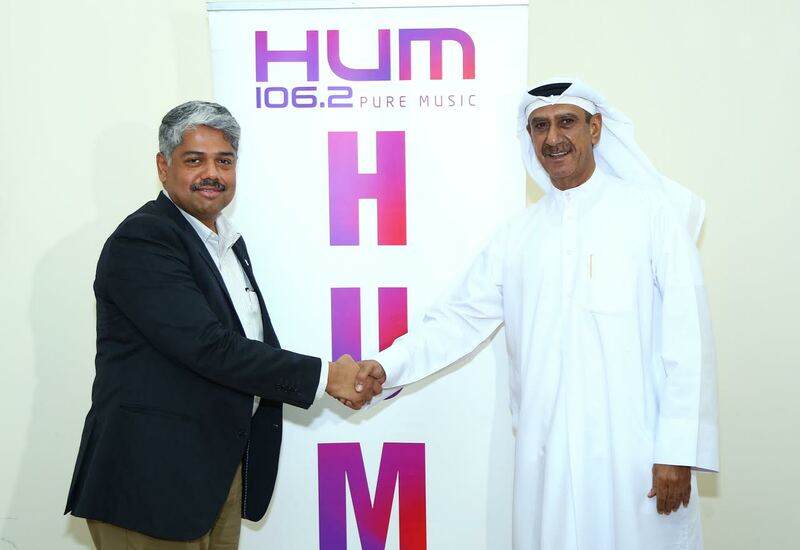 Zee Entertainment Enterprises said it bought UAE-based Hum 106.2 FM, marking its first radio property. 106.2 Hum FM was previously owned and operated by Shamal Media Services. The station is a frequency originating from the emirate of Umm Al Quwain and forms a part of Umm Al Quwain Broadcasting Network (UBN). The frequency was one of the first Hindi and Urdu language frequencies to hit the UAE airwaves in the 1990’s. It redefined drive time and boasted of many celebrity Radio Jockeys. It also went on to popularize live cricket commentary on radio and has a lot of pioneering firsts in the radio business. “In our journey of over two decades, ZEE has always led the industry in its evolution and transformation,” Amit Goenka, CEO – International Broadcast Business, ZEEL said. Hum FM has a legacy of almost two decades and with a current market share of 26%, it is the top Hindi radio station in the UAE. UAE is one of the few countries where Indian-language FM channels operate. Home to a large expatriate population, the Gulf state has multiple radio channels in Indian languages, including Hindi and Malayalam. “We are excited about our new business ventures. Radio comes immediately after our foray into film production and distribution where movies like ‘Rustom’ and ‘The Flying Jatt’ have done extremely well globally and specifically in the UAE and Middle East markets. The acquisition of Hum FM in UAE is a step in that direction and we are upbeat about its prospect in the coming years;” Amit further added. Zee will take advantage of its music content that includes singing reality shows like ‘The Voice India’, ‘SaReGaMaPa’, ‘Antakshari’ and ‘Asia’s Singing Superstar’ which gives it on-going relationship with the big names in the industry. It also has its own music label Zee Music Company.